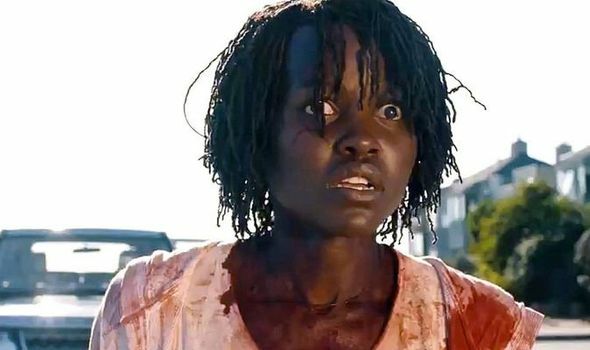 There are a lot of things to like in Jordan Peele’s new horror-satire romp, but the impenetrable plot is not one of them. His debut, Get Out, was a beautifully rendered mix of satire, humour and horror, with American racism getting the Peele treatment. It was a film whose elegant lines enabled us to readily suspend our disbelief. His target this time around proves somewhat more elusive, although some have contended that the movie will prove a playpen for Marxist and Freudian critics for years to come. I’ll leave that rather pretentious intellectual game for the individual to sort out for him/herself. For those not acquainted with Peele, he was a star of TV’s Comedy Central with a sketch series called Key and Peele. When that show finished he turned to writing and directing and Get Out was a smash hit, earning $173 million in the US and landing him a Best Original Screenplay Oscar. He’s followed that up with Us, which, whatever its failings, does offer the remarkable Lupita Nyong’o yet another chance to shine after her breakthrough Best Supporting Actress Oscar in 12 Years a Slave. The film begins promisingly at a Santa Cruz amusement park in 1986 where a young girl named Adelaide gets separated from her parents and wanders off into a house of mirrors where she has a frightening but unexplained experience which renders her speechless. Cut to the present where the now grown-up Adelaide (Nyong’o) – a mother of two and married to Gabe (Winston Duke) – returns for the first time to Santa Cruz on a family holiday. Adelaide, who feels a sense of unease from the start, becomes an increasingly fretful presence as she feels the return of the sinister experience that engulfed her all those years ago. Her first priority is to protect her preteen daughter Zora (Shahadi Wright Joseph) and her young son Jason (Evan Alex) who she feels are under particular threat. Revealing any more of the plot would be unfair; suffice it to say that the movie then explodes into life when Adelaide’s family are confronted by their doppelgängers – literally their doubles – at their holiday cottage that night, and then things get very nasty. The written preface to the movie reveals that there are many subterranean places in the US that are deserted, or seemingly unused, and Peele’s movie suggests that many of these places provide homes for the doppelgängers, an underclass the film describes as “the tethered” (or the “us” of the movie’s title), who are itching to find their place in the sun, possibly at our expense. It is possible to enjoy Us as a simple horror movie, with traces of Poole’s trademark humour, but the African-American filmmaker more than hints that he wants his picture to be taken way more seriously than that. The trouble is that the overstuffed plot is almost too full of ideas. And even if one can understand the movie’s political/philosophical premise(s), that doesn’t translate into a satisfying experience as the film stretches our credulity a bridge too far. What we can all agree on, however, is the quality of Nyong’o’s performance. She is brilliant playing both her own normal character and her gravelly-voiced shadow, while Moss (star of The Handmaid’s Tale) offers a stunning cameo as her friend Kitty.